Danwar’s husband left Nepal two years ago in search of work. The family secured loans to pay for his travel. They borrowed more money to build a house, confident that his remittances would enable them to pay it all back. “With my husband in Dubai and a regular income, we really thought we would be fine,” Danwar told IRIN. “Our house is gone, our cow sheds are gone, our grains are gone, now we have nothing,” Danwar said. More than 2,500 people are confirmed dead in Sindhupalchok, and up to 90 percent of the houses in the district have been destroyed. 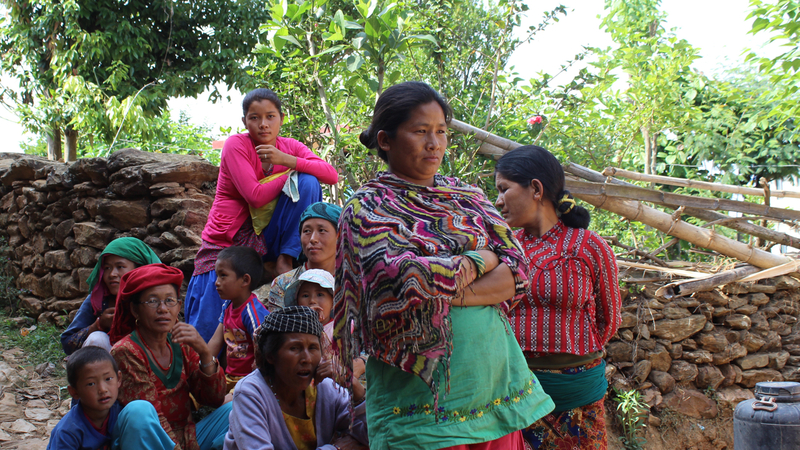 “The women staying in temporary camps are vulnerable to abuse, disease and neglect and have no emotional or moral support—most have to take care of their children and aging in-laws,” Manju Gurung, who heads Pourakhi, an NGO that helps migrant workers, told IRIN. More than 2.2 million Nepalis work overseas, the vast majority of them men. Their combined remittances totalled $4 billion last year, accounting for more than 20 percent of Nepal’s GDP (The World Bank puts the figure even higher at $5.9 billion in 2014 or roughly 29 percent GDP). Benju Rai’s husband works in a factory in Malaysia. “Coming back means he will lose his daily wage, which is more important to us now than ever,” she said. 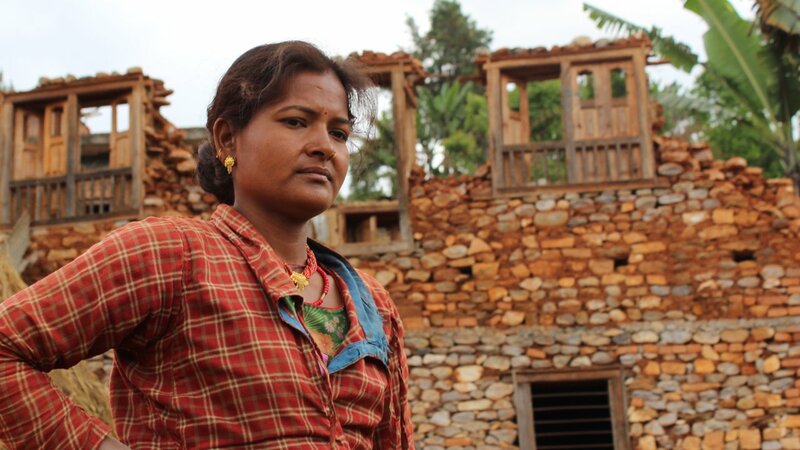 Rai’s house in Mahadevsthan village, east of Kathmandu, was also built using money borrowed on the strength of her husband’s expat pay packet. The earthquake destroyed it too. “One way the government and financial institutions can help (families of migrant workers) is by lowering the transaction fees (on money transfers from abroad) or waiving them,” Pravina Gurung, Nepal programme coordinator for labour migration and development at the International Organization for Migration (IOM), told IRIN. Western Union has already heeded the call, announcing it will waive transaction fees for money sent to Nepal. Official banks here will not provide loans to migrant workers without proper paperwork and collateral, so many people, like Rai and Danwar, are forced to access informal channels – private lenders who charge interest rates as high as 35 percent and are unlikely to waive them, even in the aftermath of a devastating earthquake. Without their menfolk, the wives of migrant workers are at a distinct disadvantage. At lunchtime in a makeshift camp in Kathmandu, survivors line up for free food – men first, then children and finally women. “This is the way our society is. It is always men who get priority, even in times like these,” said Ashmita Sapokta from the local NGO Women’s Rehabilitation Centre (WOREC). “Women eat at the end, usually whatever is left after men and children eat. There’s discrimination even in times of crisis,” Sapokta, who has been working on rescue and relief efforts since the quake hit, told IRIN. Danwar doesn’t want her husband to leave his job in Dubai and come home to help.